Partitioned BDD-based algorithms have been proposed in the literature to solve the memory explosion problem in BDD-based verification. A naive parallelization of such algorithms is often ineffective as they have less parallelism. 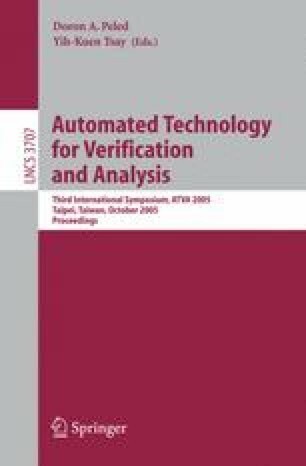 In this paper we present a novel parallel reachability approach that lead to a significantly faster verification on a Symmetric Multi-Processing architecture over the existing one-thread, one-CPU approaches. We identify the issues and bottlenecks in parallelizing BDD-based reachability algorithm. We show that in most cases our algorithm achieves good speedup compared to the existing sequential approaches.